If you have some ripe bananas, a few spreads of nut butter, and any nut or seed that will render a crunchy coating, you can make these super healthy easy banana sushi. The combination of fresh fruit, creamy Nutella, and crunchy hemp hearts is a winner! Let me preface this post by saying that I nearly saved enough of these banana sushi to document any proof of it. Not only is this snack delicious (and addictive – but who cares? It’s healthy! ), it’s incredibly easy to make, which means toddlers and big kids can help you prepare these. It’s a fun way to get the kids in the kitchen, and clean up is not nearly as stressful as it is when kids help with other recipes, say baked goods, or full-on meals. Having said that, although it is an easy recipe, there is some degree of mess, in the form of the creamy Nutella that sticks to your fingers while preparing these. Prep sort of involves, scooping out the Nutella, spreading it on the banana, lick your fingers and the butter knife, then repeat. No complaints on my end, and definitely no complaints from the kids! 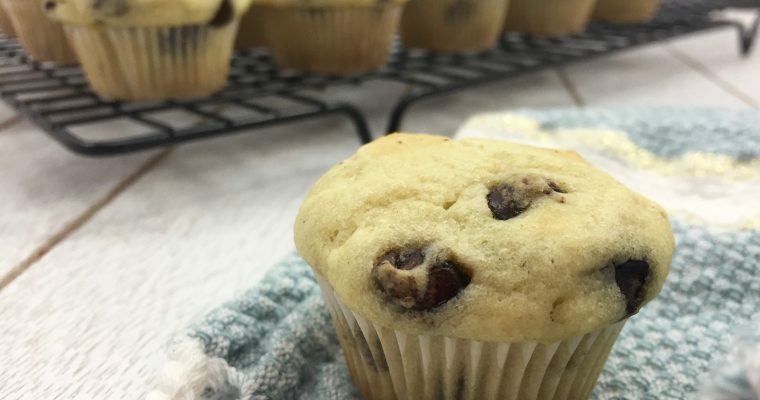 What’s great about this recipe is that you can customize it however you like. 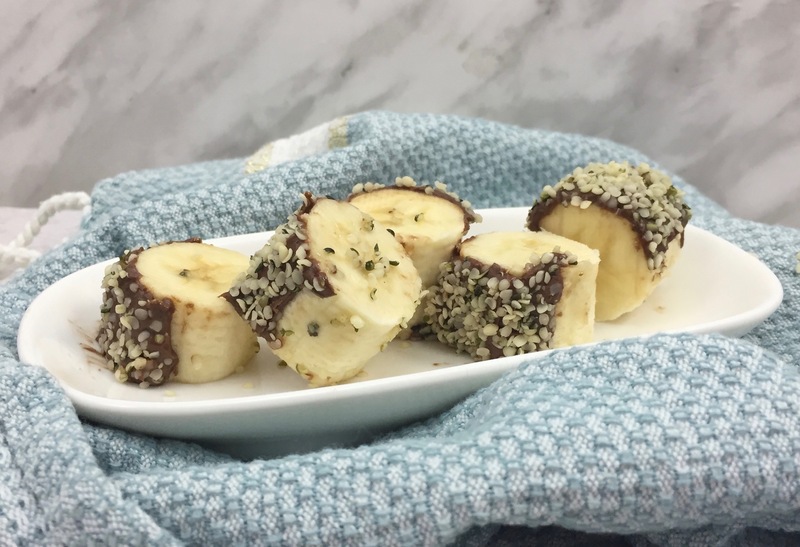 The combinations are endless – just combine Nutella, peanut butter, almond butter, or a school-friendly nut-free butter with any crunchy component such as hemp hearts, chia seeds, crispy rice, crushed nuts, coconut flakes, and so on. Peel the bananas and place in the freezer for 10-15 minutes. Once cooled, place the banana lengthwise on a cutting board or flat surface. 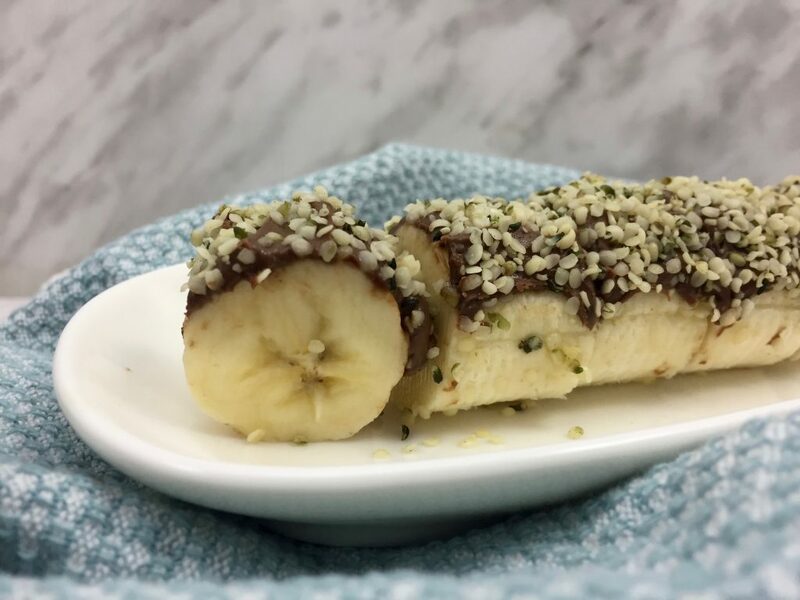 Evenly spread the top of the banana with the Nutella then sprinkle generously with hemp hearts or garnish of choice. Slice the banana into desired pieces. Serve immediately or store in the freezer for a cool treat. I’m loving this idea! Not just for my husband and I .. but as snacks for our grandchildren when they come to visit. They’ll never know it’s good for them. I always have frozen bananas in the freezer for my morning smoothies. Now we’ll have little bite-size sushis as well. I also always have frozen bananas in the freezer for my smoothies! what a perfect treat for a party, a BBQ or just an afternoon by the pool. Not to sweet but sweet enough to be considered dessert. Easy to make too. I love frozen bananas. You have me dreaming of summer right now!! I almost got some hemp hearts from the grocery store yesterday and didn’t. I didn’t know what to do with them! We always have nutella and bananas on hand though. Now, I wish I had gotten them. Well, you know where to find them! lol! I also add hemp hearts to granola bars, cookies, smoothies, and on salads too! Am I the last person on earth to have seen this? This is genius!! I love sushi but I think this is a great introduction to it for the little ones. Thanks so much! Thanks Heather! Love the enthusiasm! What a creative idea for a fun dessert with the kids. I think they will really enjoy this kind of sushi! 😉 Great snack or dessert for all ages. Fun idea. My kids would absolutely love this idea! There are all about dressing up fruits and vegetables . They love to have things like this in little tea parties. 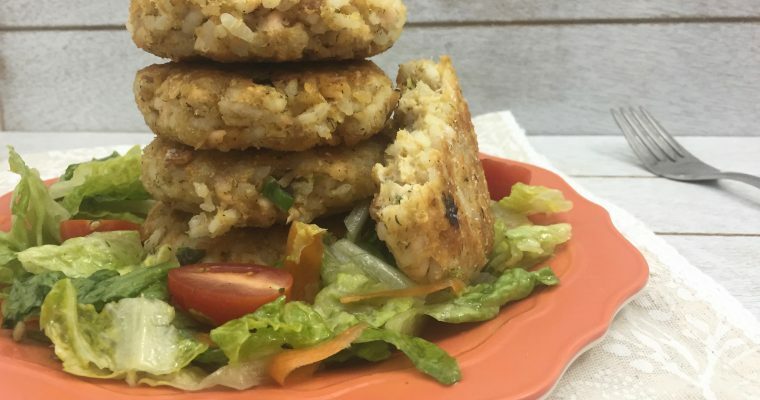 It’s easily portable and bite-size so easy to eat on the go too!